The Dream Team Youth Programs at the Martin Luther King Jr. Community Center include the After School, Summer Learning and Night Hoops programs. 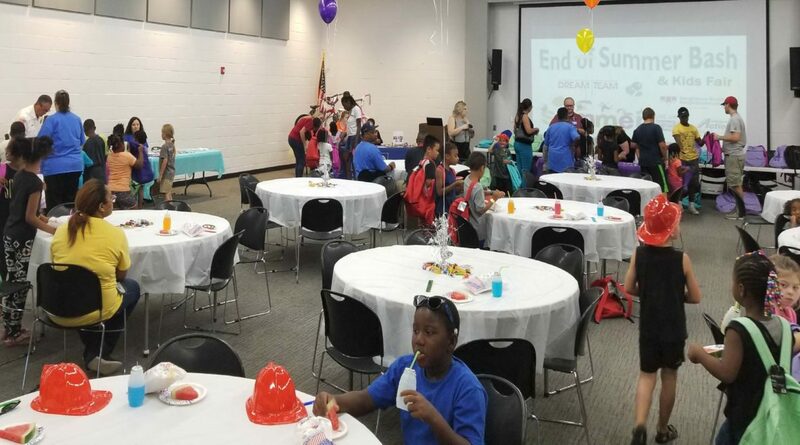 The goals are to provide academic support during the school year and through the summer and to provide safe evening activities for community youth on summer weekends. Tutoring, homework assistance, and summer enrichment lessons boost academic achievement, and recreational activities at night hoops provide a safe fun atmosphere for youth of all ages. In April, the students at the Dream Team After School program were involved in the remembrance and commemoration of the 50th anniversary of the assassination of Dr. Martin Luther King, Jr. The students participated in a project entitled “50 Acts of Kindness”. During the month leading up to the tree planting ceremony, they were challenged to do random acts of kindness for friends, family, teachers, neighbors, etc. They recorded their acts of kindness on cards that were displayed in the Dream Center. Community leaders and citizens were able to view the wall of kindness during the commemoration ceremony and the children were excited to point out their cards. Multiple children asked to do more than one and stated that they enjoyed the feeling of helping others. The children were happy learning about Dr. King’s spirit of service and selfless giving and understand now that even small acts of kindness can make a big impact in their community.